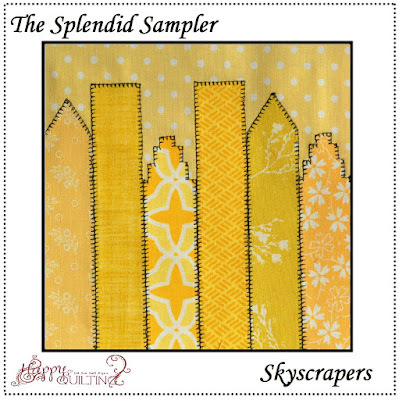 Happy Quilting: Splendid Sampler Friday!! 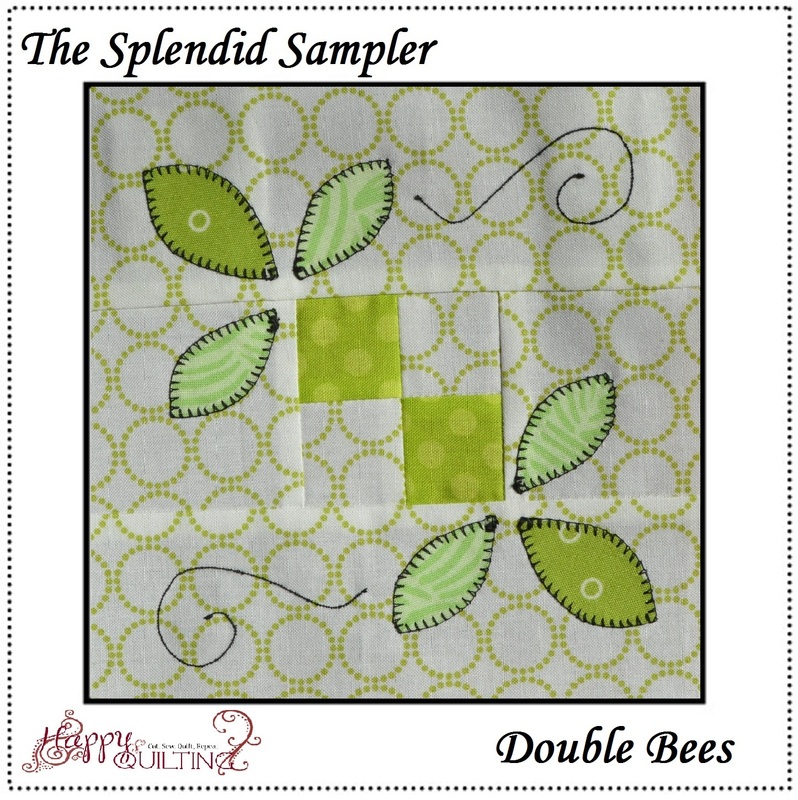 First up, is the Double Bees block designed by Beth Bradley. This block was a super fun fast block and you know how I love petal applique!!! And of course, I am not much on hand stitching, so I just machine stitched my little bee flight trails ;) So fun!!! Next up is the Skyscrapers block designed by Stacey Lowe. And talk about some fun applique!!! I decided to use the black outline to really make those buildings pop on the polka dot background. And I just love the zipper effect when you blanket stitch on two seams right next to each other, so fun!!! And finally, the Sunshine block designed by Kim Niedzwiecki. This block was all about polka-dots. 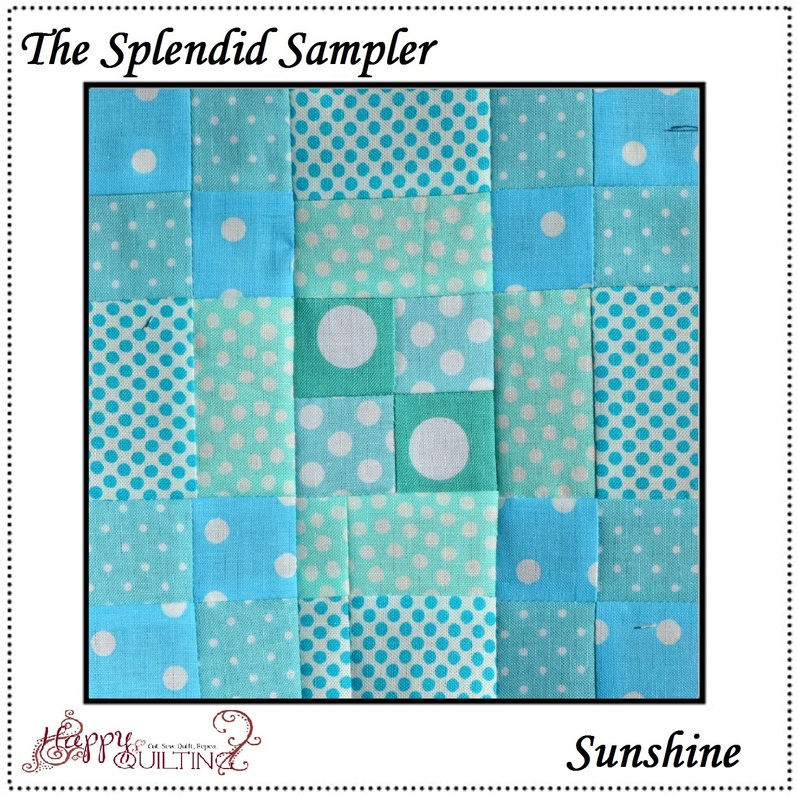 I was so thrilled to find that I had so many different polka dot fabrics in light blue. 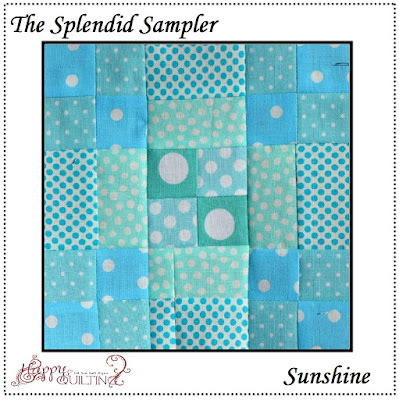 It just makes me smile :) Although, when I was done, I had to laugh that those polka dots on blue reminds me more of snow than the actual block name sunshine, I still love it!!! 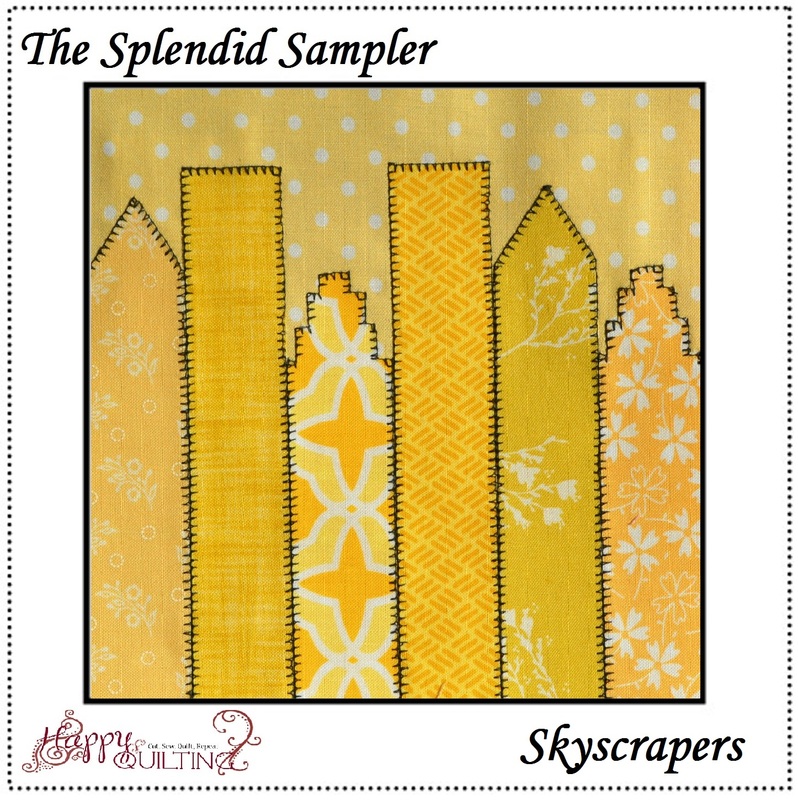 And that's it for today ;) I will be back tomorrow with some more Splendid Sampler Blocks. Only a few more to go !!!! Beautiful blocks!! You did such a wonderful job of appliqueing, Melissa. Love those skyscrapers especially :)!